Welcome to the most relevant Real Estate Blog in the world! I will provide you with all the answers to all of your real estate questions. Check it out! 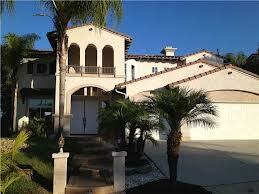 Mission Hills (92103) is full of some of the most beautiful homes in all of San Diego county. Mission Hills homes consist of old stately homes, quaint craftsman bungalows, and large mansions - all immaculately manicured on quiet streets give Mission Hills its appeal and attraction. From January 1, 2015 through December 2016 there were 144 homes sold. The average sales price was $1,200,000. It had 3 bedrooms with 2 baths with just over 2,300 sq.ft. Mission Hills has its own business district. Most of the local businesses are located along West Washington Street from Hillcrest to the east. The business hub of Mission Hills is along Goldfinch Street between Fort Stockton and W. Washington. Restaurants, shops, pubs and services give residents everything they need. The historic homes of Mission Hills are some of the finest in California. Most of the Mission Hills houses were built between 1910 and 1940. The neighborhood showcases outstanding examples of Bungalows, Craftsman, Mission and Spanish styled homes. Residents take pride in the variety of housing styles in the neighborhood and host historic home tours each year. There are several recognized historic districts within Mission Hills, and many houses enjoy the tax advantages of official Historic Designation. There are a number of houses located on lush canyons and there are an abundance of city, bay, and ocean views. Mission Hills is home to several different school options, from public and charter to private and parochial. Founded in 1912, Francis Parker School is San Diego's oldest and largest independent, non-denominational, co-educational day school. The Lower School campus is located in Mission Hills and serves students from Junior Kindergarten through the 5th grade. Operated by the San Diego Unified School District, Grant serves both elementary and middle school students from Kindergarten through the 8th grade. Operated by the Mission Hills United Church of Christ, the Mission Hills Community Preschool was established as a service to the parents and children of the community. 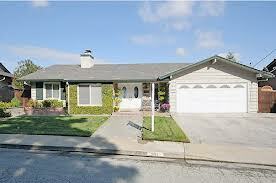 Choosing the right Chula Vista Short Sale Agent and buying the right short sale is a critical investment. You often only get one chance to successfully negotiate a Short Sale. Do your research and choose a Professional who has successfully negotiated Short Sales for other homeowners and knows how to deal with lenders. Call/email/text me 7 days a week and I will explain how we successfully negotiate all our Short Sales. Go to the "Contact Us" page and contact me immediately. Search for all Chula Vista Short Sales. Rancho Del Rey is one of San Diego South County’s premier master-planned communities having been built in 1989. This quiet community has affordable homes and condos that will fit any budget for any size family. Home prices range from $200,000 to $1,000,000 depending on size, location and condition. It also boasts quite a few gated communities with custom homes and huge lots. Because of all the surrounding rolling hills, it offers beautiful views for many homes. Rancho Del Rey has 114 acres of parks, playgrounds and ball fields. It is also has a Costco and Home Depot which makes it convenient for the residents. Close by these stores is the Regal Stadium 16 Theatres, located at 1025 Tierra del Rey in Rancho Del Rey where the latest releases show in all auditoriums. With its proximity to Downtown San Diego, the Gaslamp District, Little Italy, Balboa Park, including the World famous San Diego Zoo, Rancho Del Rey is an ideal place to live and raise a family. Students who live in Rancho Del Rey are under the jurisdiction of The Sweetwater Union High School District; this district serves the communities of Chula Vista, Imperial Beach, National City and the San Ysidro portion of San Diego. Rancho Del Rey Middle School is one of eleven middle schools in this district, and opened its doors in July, 1997. Located in the heart of this community is the South Bay YMCA at 1201 Paseo Magda. This well-maintained, clean facility offers a variety of activities for youngsters to seniors. From summer day camps, fitness classes to swimming lessons, there’s surely an activity for you and your family. 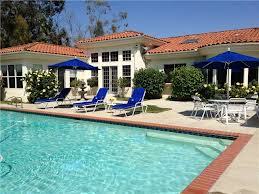 Surrounding this community are many attractions for the enjoyment of both residents and tourists. For instance, the Living Coast Discovery Center (formerly the Chula Vista Nature Center) is a fun, hands-on wildlife and nature experience for the whole family. It’s located on the San Diego Bay and the Sweetwater Marsh wildlife refuge. For all the concert goers, the Cricket Wireless Amphiteatre is located in Chula Vista. This outdoor venue features approximately 10,000 chair back seats with a landscaped lawn that can comfortably seat another 10,000 spectators. Sharing the same parking lot as Cricket is Knotts Soak City USA, a huge family-orientated water park that spans over 32 acres. This facility is open from May through September. One unique attraction in Chula Vista is the Olympic Training Center. They are open year round and assist current and future Olympic athletes in archery, rowing, kayaking, soccer, softball, field hockey, tennis, track and field and cycling. And of course there’s always shopping! Rancho Del Rey is also close to the Otay Ranch Town Center, located inland in Eastlake.This upscale shopping mall has everything from specialty shops, restaurants and even a 12-Screen AMC Theatre. With so much to do in and around Rancho Del Rey, this quiet upscale community in the city of Chula Vista is a great place to call home. Have you ever driven through a community and felt like you belonged there? That’s what happened to me 12 years ago when I first drove through Eastlake. Eastlake, in the Eastern portion of Chula Vista, has been one of the most popular neighborhoodsfor new home purchases in San Diego County for the past 15 years (as voted by readers of the San Diego Union-Tribune)…especially for families with kids!Eastlake has everything you could ask for in a community. Being a Chula Vista (Eastlake) Realtor is a 24-hour a day, 7 day a week job. But it's not just a job for me…it's my career and what I love to do. There is no better feeling than helping a buyer find their dream house in a neighborhood they love or a seller selling their home for top dollar. I know what it takes to be a great Realtor. I work as hard as I can for each client I have. When I am with a client, that client is the focus of my attention. I do not take incoming calls or text other clients--100% of my attention is on the task at hand with the clients I am with. There are several things I do for my buyers that make me one of the top agents in Chula Vista. Firstly, I answer my phone 7 days a week. If I am with aclient I will let the call go to voice mail, but after I’m finished with my appt. I will return all of my calls right away. I know this seems simple, but you would be amazed at how many Realtors never call their clients or potential clients back. Most real estate agents don't even answer their phone. How can a Realtor provide great customer service if they can’t be reached? Secondly, buying or selling a house can be a long process. I dedicate as much time as it takes to help my clients find a home or sell their house. I do notstop until the job is done. Whether it takes 60 days or 6 months for escrow to close, I put the time in to make sure the transaction goes as smoothly and stress-free as it can for my clients. I want them to be completely satisfied with the transaction and recommend me to friends and family and hopefully use my services again! In order to truly help a buyer or seller it is necessary to know the community or city you're working in. One of thearea's I specialize in is, you guessed, Chula Vista and Eastlake (which is a subdivision/community of Chula Vista). 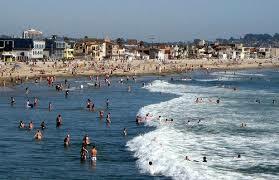 Chula Vista is the 2nd largest city in San Diego County and is located about 15 miles south of Downtown San Diego. Chula Vista has 5 zip codes—91910, 91911, 91913, 91914 and 91915. The zip code 91910 is located west of the 805 Freeway. (A small portion of 91910 does stretch east of the 805 and includes communities such as Rancho Del Rey.) Most homes in 91910 were built in the 1950's and 1960's. The average sales price for the past six months for a 3 bedroom, 2 bath, 1800 sq. ft. detached single-family house was $522,000. The average sales price for the past six months for a 2 bedroom, 2 bath, 1200 sq. ft.condo was $320,000. Zip code 91911 is located in the southwest area of Chula Vista and iswhere you will find the least expensive homes in this area. The average sales price over the past six months for a 3 bedroom, 2 bathroom, 1600 sq. ft. detached single-family house was $322,000. The average sales price for a 3 bedroom, 2 bathroom, 1200 sq. ft. condo over the past six months was $312,000. 91913 is the main zip code for Otay Ranch. It is located just south of Telegraph Canyon Road and Otay Lakes Road. The average sales price over the past six months for a 4 bedroom, 3 bath, 2100 sq. ft. detached single family house was $387,000.The average sales price for a 3 bedroom, 3 bathroom, 1300 sq. ft. condo over the past six months was $225,000. 91914 is home to Rolling Hill Ranch and San Miguel Ranch (as well as a portion of Eastlake Woods). One of the main attractions of Rolling Hills Ranch is that it is a portion of the community where there is no Mello-Roos. Because the east side of Chula Vista is relatively new, most of the area's have Home Owners Association fees and Mello-Roos, which can last 15-25 years and can range from $100 to $500 a month. The price range for homes in 91914 is from $250,000 to a few million dollars. The average sales price over the past six months for a 4 bedroom, 4 bath, 3100 sq. ft. detached single-family house was $569,000. The average sales price for a 3 bedroom, 3 bath, 1350 sq. ft. condo over the past six months was $221,900. The 91915 zip code is one of my favorite zip codes in all of Chula Vista. 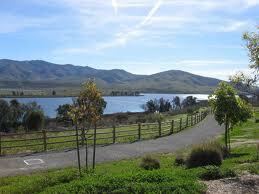 It includes Eastlake Trails, Eastlake Green, Eastlake Vistas and parts of Otay Ranch. Homes in Eastlake Trails and Eastlake Greens range in price from $244,000 to $764,000. The average sales price over the past six months for a 4 bedroom, 4 bath, 3100 sq. ft.detached single-family house was $569,000.The average sales price for a 3 bedroom, 3 bath, 1300 sq. ft. condo over the past six months was $225,000. No matter where you are looking for or buying a house, Chula Vista, Eastlake, Bonita, Mission Valley or Coronado--the most important thing you can do as a buyer or seller is choosing the right Real Estate Agent! North Park is considered one of San Diego’s most up-and-coming urban communities. Some residents of this community even seem to believe that North Park is the heart of San Diego, because of it’s central location. North Park’s neighboring communities include University Heights, Hillcrest, Normal Heights and Mission Hills. There are a variety of Craftsman cottages, bungalows and homes that transform this area into a peaceful place that welcomes singles or a family of any size. 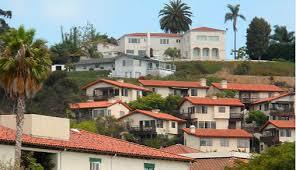 The average price of a House for Sale in North Park is about $700,000 with about 1,700 sq. ft. The average price of a condo for sale is $365,000 with about 1,000 sq. ft. This community is certainly developing into one of San Diego’s newest cultural and artistic neighborhoods. An intersection that is often considered to be the heart of the neighborhood is 30th Street and University Avenue where the North Park Sign is proudly displayed. There is a lot to do in this community with a variety of restaurants, nightclubs, arts, entertainment and of course shopping. Being self-sufficient, it houses grocery stores, banks, drugstores and specialty shops. The newly renovated Birch North Park Theater is home to the San Diego Lyric Opera, which is a great venue to see a musical or light opera. Due to its proximity to North Park, Balboa Park is a huge attraction for not only residents of this community but for anyone living or visiting San Diego as well. Balboa Park boasts the World Famous San Diego Zoo along with 15 different museums, “live” theaters, and much more. Just around the corner from Balboa Park is Downtown San Diego, which includes the popular Westfield Horton Plaza Little Italy, The Gaslamp District, the San Diego Civic Theatre, Petco Park (where the Padres play), Seaport Village, and the San Diego Convention Center. Because of its great location, it allows you to get to a number of locations in only a few minutes. They include Mission Valley, Fashion Valley, Qualcomm Stadium (home of the San Diego Chargers), Pacific Beach, Mission Beach, Ocean Beach, and Point Loma. Almost every city within the San Diego County has a Farmers Market and North Park doesn’t let you down. Their Farmers Market is located at the parking lot on the corner of University and 32nd streets. It’s open every Thursday afternoon until sunset and features over 35 independent vendors, including gourmet/ethic foods, arts and crafts, books and locally grown flowers. Sometimes there’s even live music to entertain you as you browse around. So if you are already living in the San Diego area or are thinking about moving to the area, be sure to visit North Park, you won’t be disappointed.